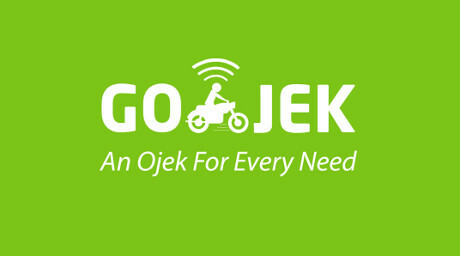 Have you ever use the Go-Jek Application? This application is made for the solution of the traffic jam that we cannot avoid. First, it only provides a service of transportation, but it develops faster than any service companies. Nowadays, it provides us the services such as Go-Send, Go-Ride, Go-Food, Go-Mart, Go-Busway and many more. However, the famous one is Go-Ride. We can go wherever we can go by using Go-Ride. Many people such as students and workers use this service. Personally, I also like to use Go-Ride service. I use the app because my house is not in strategic area so it is kind a hard if I want to buy something or want to go somewhere. You have to try this application, because it is cheap, efficient and safety. When the first time I used this service, I hesitated because my destination is really far from my house and there must be a traffic jam in everywhere. However, when I opened the application, and typed my pick-up place and my destination place, it mentioned the value that I must pay to the Go-Jek driver which it only costs Rp.10.000. I was excited and happy because I can use this app to bring me everywhere. However, today it is increased to Rp. 15.000, a cost that more rational than before. Do not have to arguing that we cannot avoid the traffic jam, because it exists in every big cities in Indonesia. If we use other transportations, such as angkot, becak and bajaj, it wastes our times. We cannot arrive on time in our destination places. However, if we use Go-Jek, we can save our times. We do not have to hurry go off from our houses, because Go-Jek driver will drive you to the destination place on time. The best part of Go-Jek is that it is safety for us as the consumers. When we use Go-Jek application, it shows the driver that picks us complete with his/her photo and his/her contact number and so do the drivers. They also have our numbers as consumers to make sure that we really use this application. However, our numbers cannot be save by the drivers. Therefore, the company protects our personal information. Then, we are protected by the insurance of life just in case that something bad happen to us. Go-Jek can be a solution for us who lives in a big city so that we can avoid the traffic jam. It is safety, efficient and safety. Moreover, the drivers are really polite. I really recommend this application. Since I only use Go-Ride, I don’t know about other services that Go-Jek provides. However, I can say that this application is really amazing and useful. Nice share. such a great article! keep create the good work like this.. I can't wait to read another article from you.